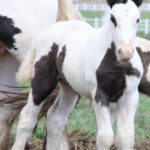 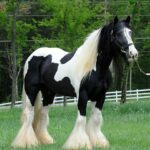 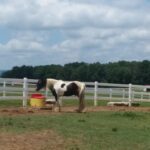 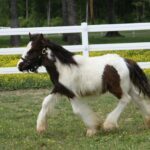 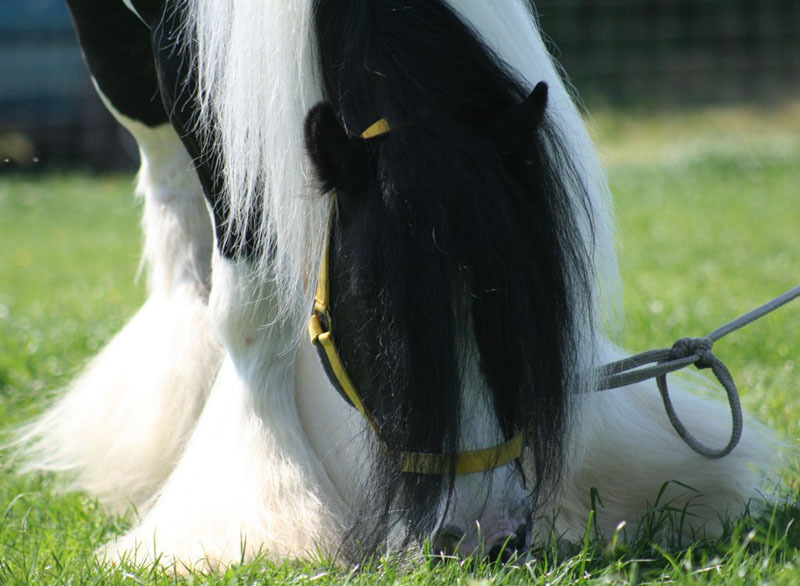 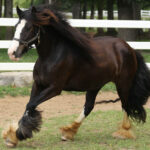 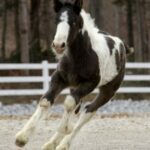 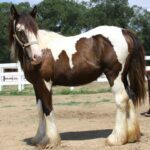 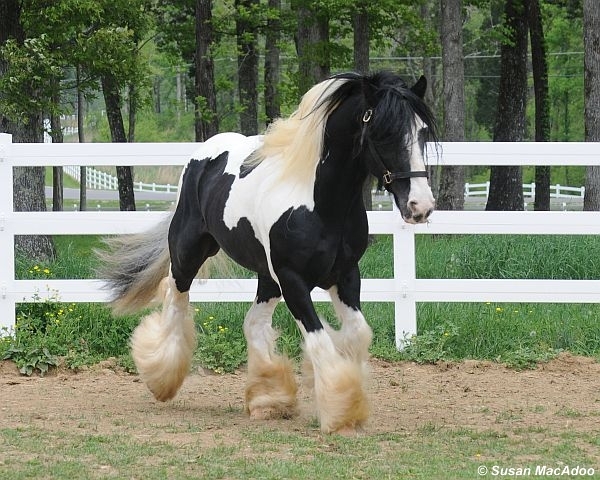 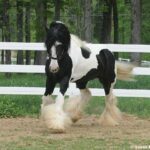 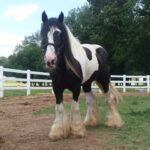 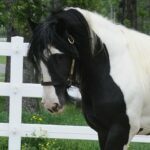 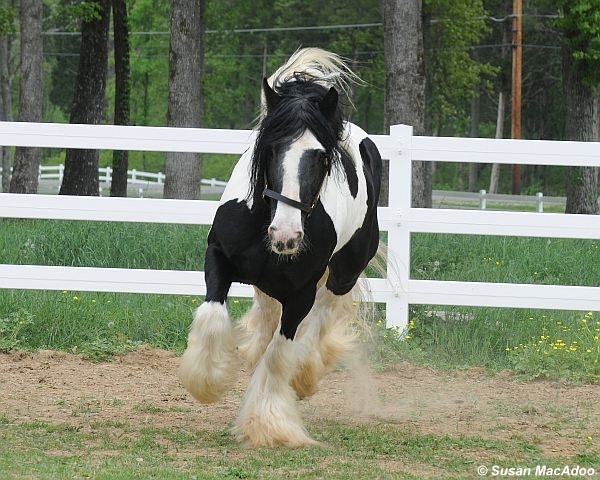 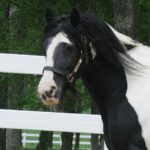 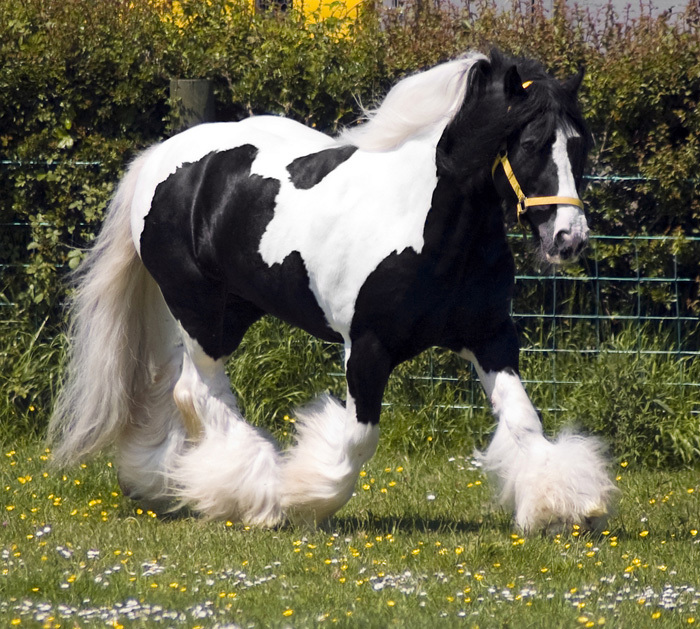 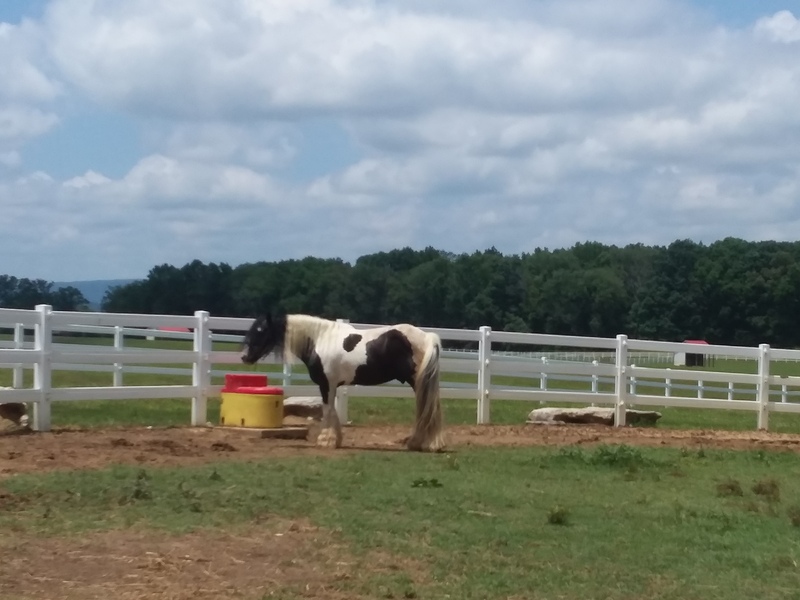 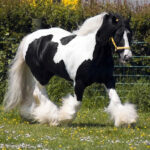 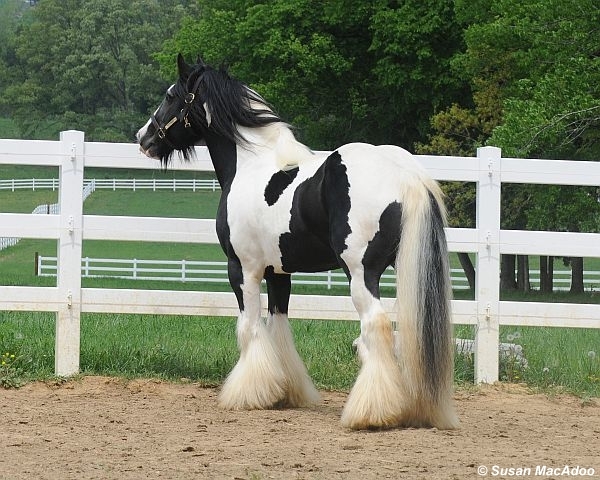 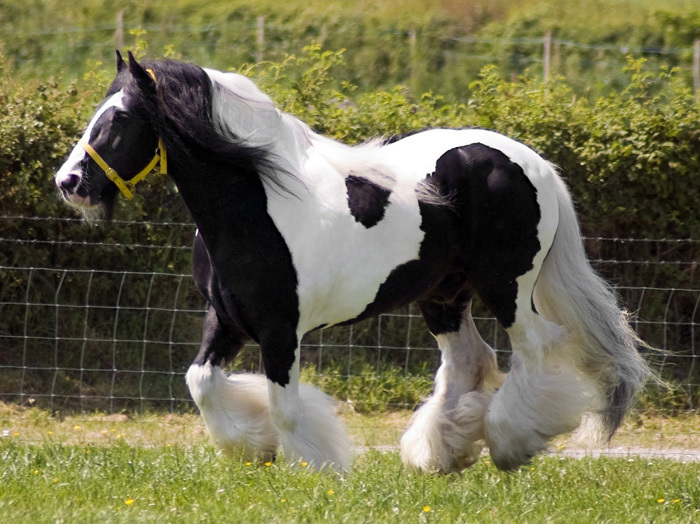 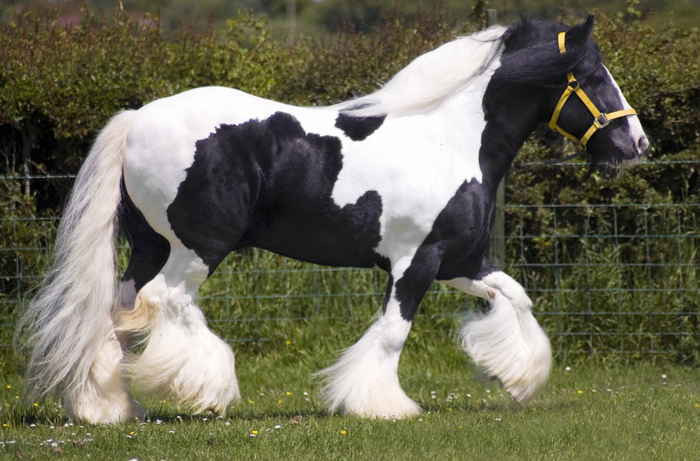 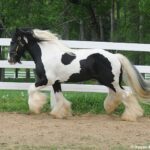 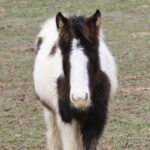 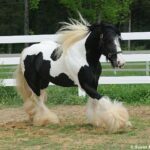 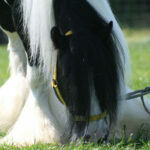 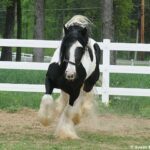 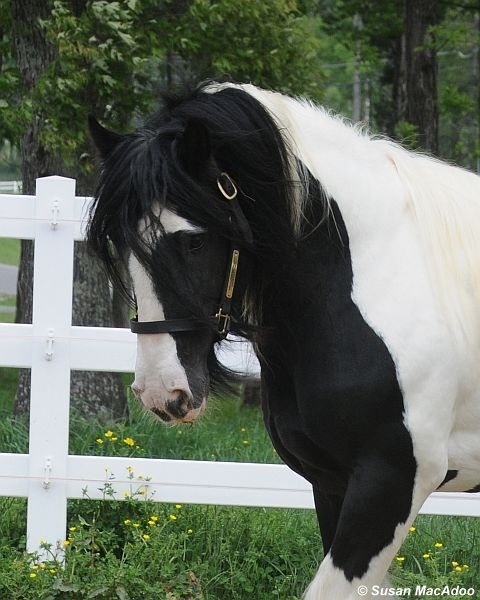 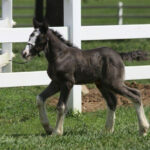 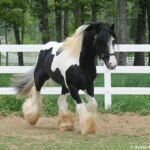 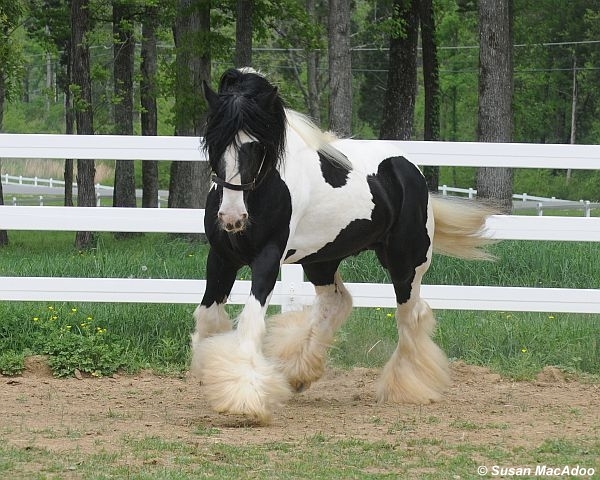 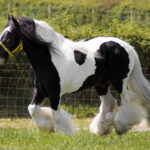 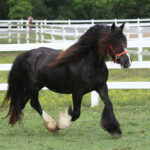 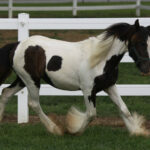 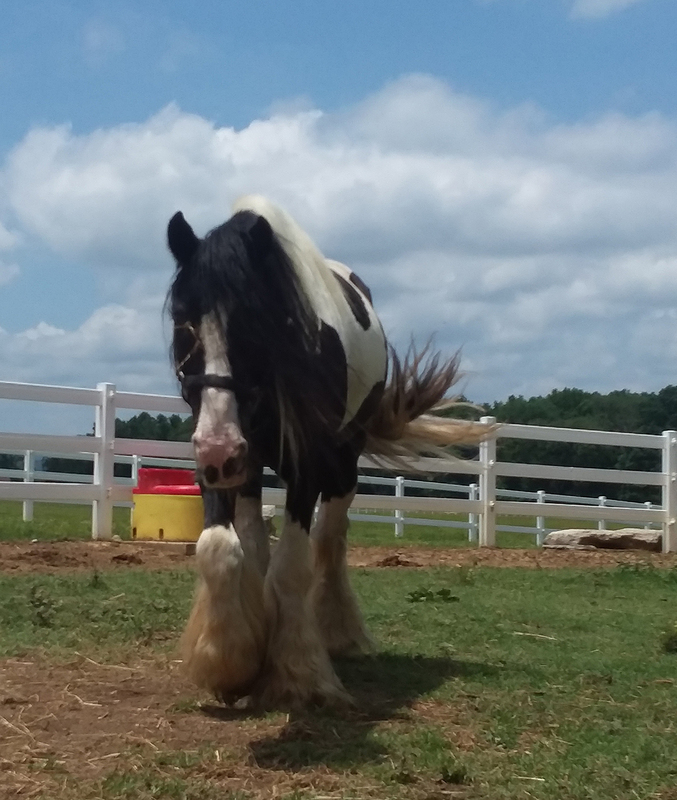 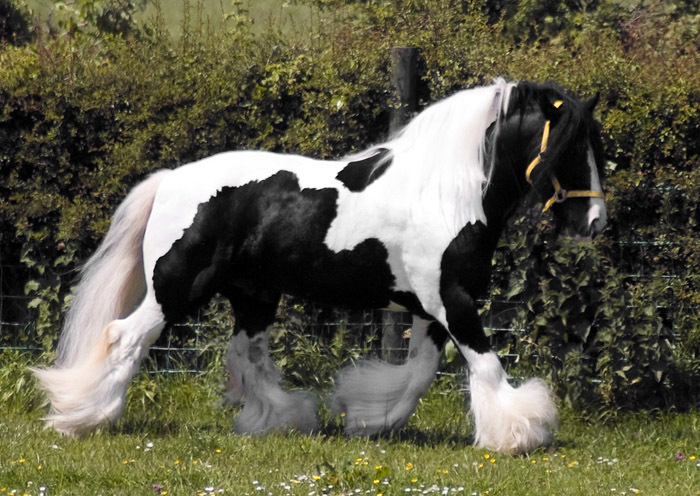 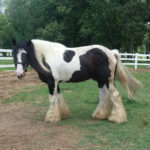 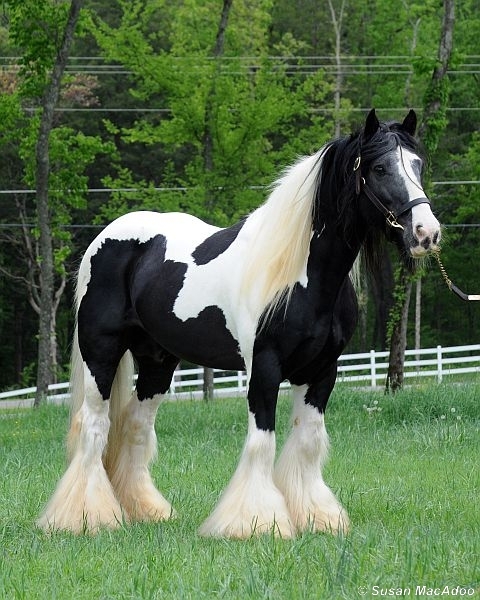 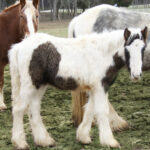 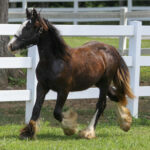 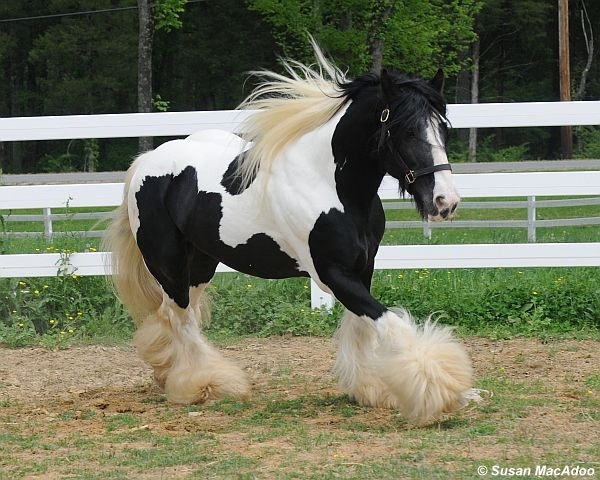 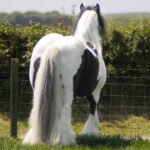 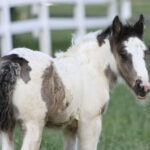 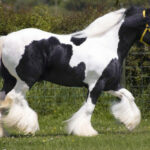 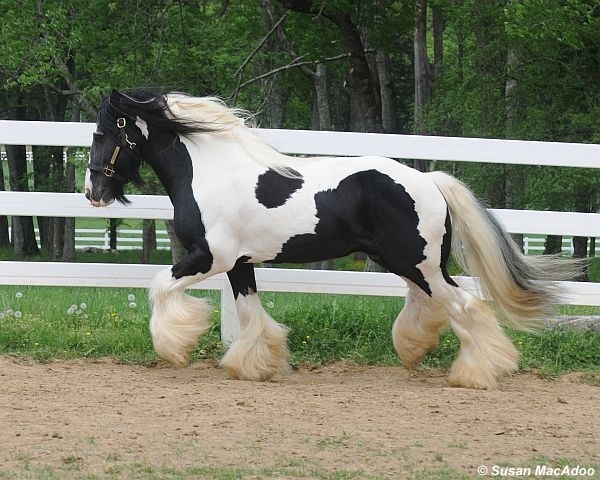 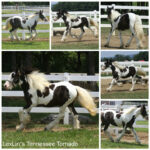 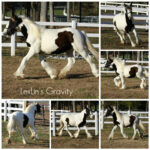 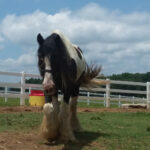 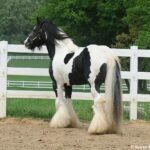 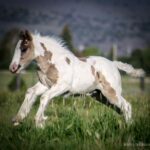 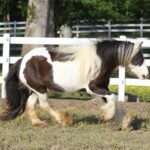 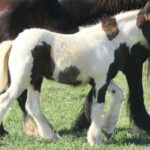 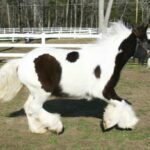 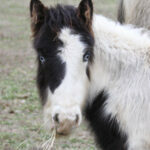 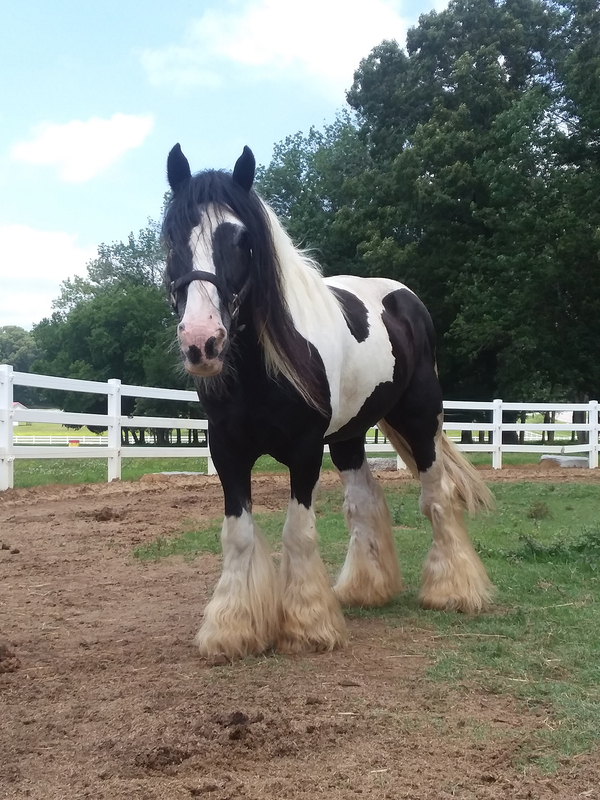 This heavy black and white 2003 Gypsy Vanner gelding is simply breathtaking! 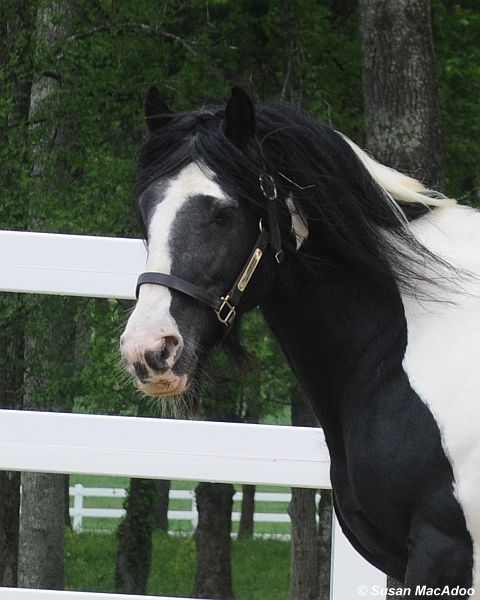 BeesKnees has an excellent pedigree and it shows. 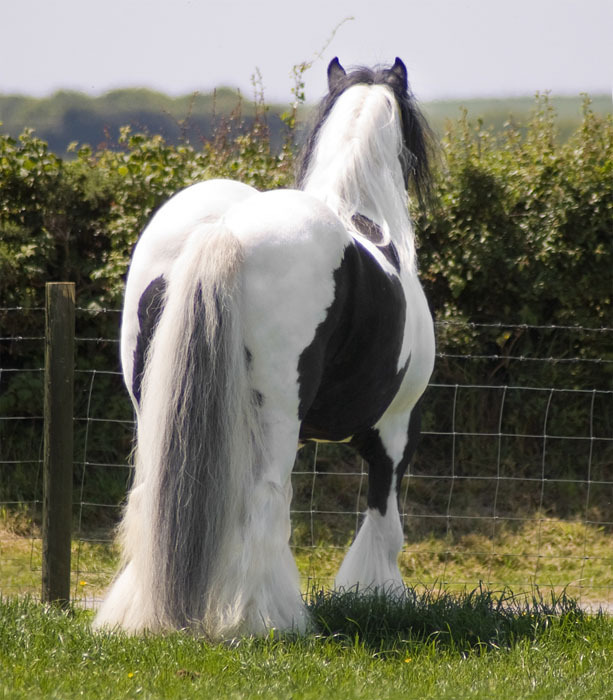 His pedigree includes some of the best lineage in the UK. 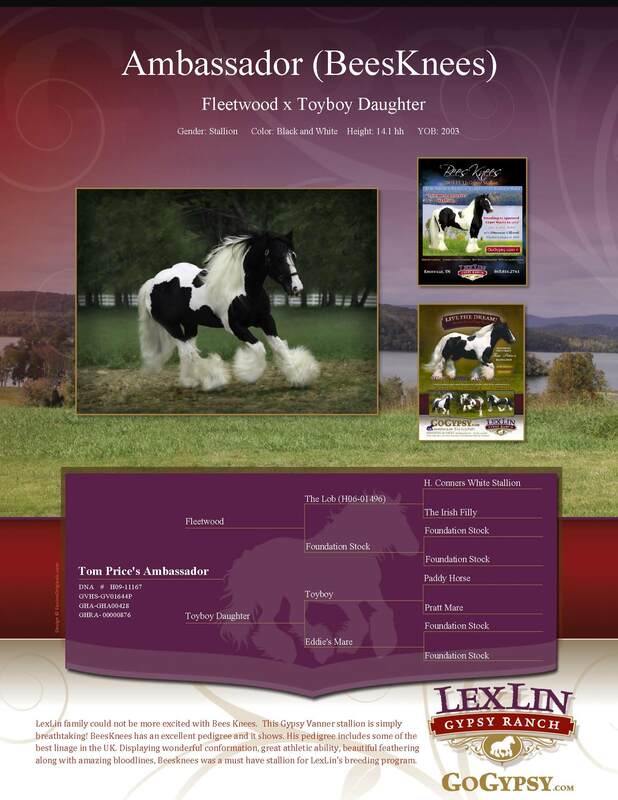 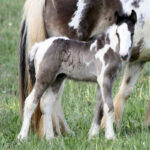 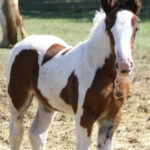 He is by Fleetwood and out of the wonderful gypsy mare, Toyboy Daughter. 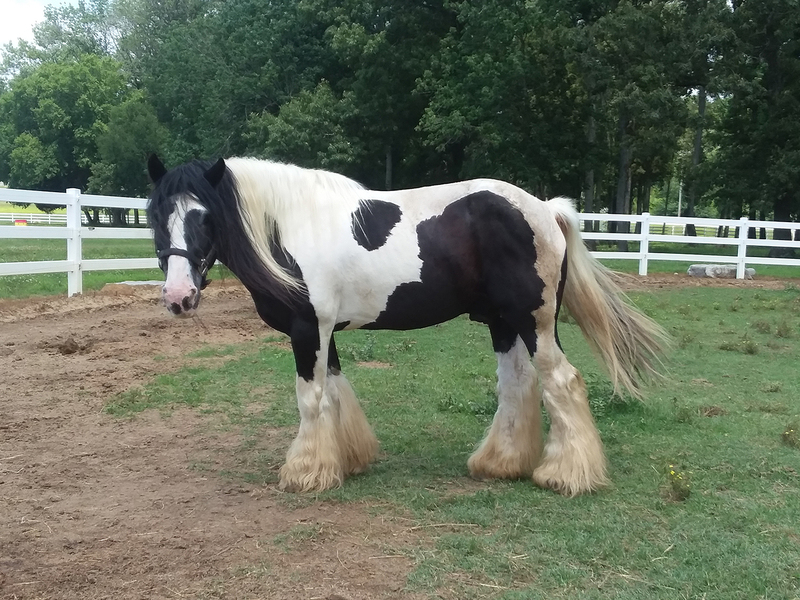 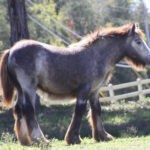 While in Wales at the 1st Annual Tom Price Open House, Beesknees has been used as an exemplary Gypsy Vanner Stallion and is now an amazing gelding. 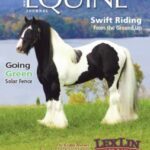 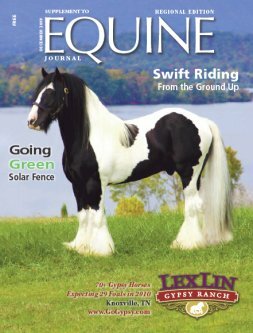 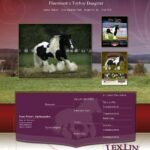 Displaying wonderful conformation, great athletic ability, beautiful feathering along with amazing bloodlines, Beesknees had an important role in LexLin’s breeding program.